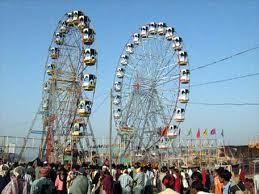 Marwar Festival Jodhpur isComing on 28-29 October 2012 in Jodhpur Rajasthan India. The Marwar Festival Jodhour is one of the most awaited festivals of Rajasthan. 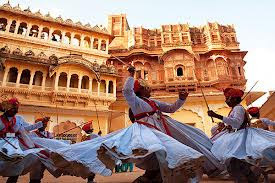 Reflecting the rich culture of the place, the festival is celebrated with a lot of excitement and zeal.The Marwar Festival in Jodhpur actually acts as remembrance to the heroes of Rajasthan. 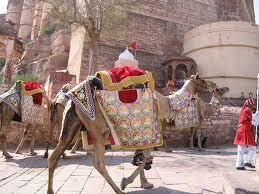 The festival is celebrated in the Hindu month of Ashwin (Sept-Oct) in Jodhpur, the former capital of Marwar Province. 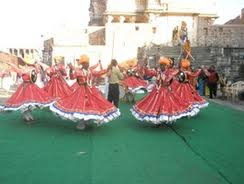 The festival has on display the music and dance of the Marwar region. The spirited folk dancers assembled here, perform with gusto and entertain the audience with Rajasthani folklore.These folk artists bring to life the myth and legends of the area and sing songs inmemory of the brave heroes. Other attractions of the festival include horse riding and horse polo. Various other competitions are also held during the festival.This festival also attracts a large number of foreign tourists. 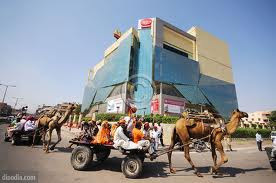 By visiting Rajasthan during the festival, they also gain a lot of knowledge about the heroes of the bygone era of Rajasthan. The festival is also embedded with a number of cultural events. Music and dance makes the festival more attractive. These cultural events not only add entertainment options for the visitors. They also reflect he rich culture of the place. The festival also holds further value for the tourists. 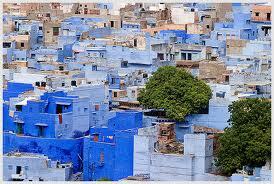 They provide a deep insight into the rural life of the people of Rajasthan. The dance postures which involve folk dancer carrying pots on their heads are a treat to the eye. These performances are usually held at the Umaid Bhawan Palace in Mandore and Mehrangarh Fort. 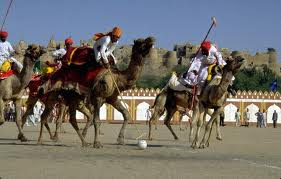 The festival also has further attractions like camel tattoo show and polo.This is festive time and the performances take on a romantic and ethereal hue as it is full moon on those days. Besides the song and dances that are the hallmarks of the Marwar Festival, the audience is regaled with Rajasthani folklore that keep the myths and beliefs of yester years alive. Competitions and activities like horse riding and polo complete the scintillating event. Once the capital of the Marwar state , it was founded in 1459 A.D. by Rao Jodha-chief of the Rathore clan of Rajputs who claimed to be descendants of Rama - the epic hero of Ramayana.The massive 15th century A.D. Mehrangarh Fort looms on the top of a rocky hill, soaring 125 Mts. Above the plains. The city is encompassed by a high wall -10 km long with 8 gates and innumerable bastions. It was originally known as the 'Maand Festival', a classical style of folk music centred on the romantic lifestyle of Rajasthan's rulers. The festival is held for two days during the full moon of Sharad Purnima. 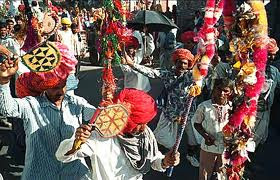 The Marwar festival displays the music and dance of the Marwar region. The spirited folk dancers gathered here, perform with zest and entertain the audience with Rajasthani folklore.